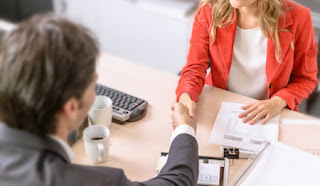 It is commonplace for lawyers to provide prospective clients with a free initial consultation, during which they discuss the details of your legal situation, as well as provide you with an opportunity to ask them any questions. You should use this meeting to decide whether or not you actually need the services of a lawyer, and if you do, whether this particular lawyer is the best candidate for you and your case. In order to make that assessment, you’ll want to attend the meeting with a list of questions that touch upon things like the lawyer’s area(s) of expertise, their experience, their fee structures, any special knowledge of skills that they possess that may be relevant to your matter, and the case management approach that they typically take. To make things easier for you, we’ve formulated a list of ten questions that you should posit to a potential lawyer candidate during the initial consultation meeting. The purpose of this question is to gage the lawyer’s breadth of knowledge and expertise. It’s important to know whether the lawyer is a veteran, somewhat experienced, or a new-call, because it’ll have a direct effect on their lawyering style, the availability, as well as their legal fees, just to name a few. It may be that your legal matter is one that can safely be handled by a new-call, or it may be one that requires a level of expertise only possessed by an experienced practitioner. Every legal matter is unique, and therefore, you’ll need to decide which experience level is right for you. 2. What fields of law do you specialize in? What percentage of your practice is devoted to ~the field of law in question~? First and foremost, you’ll need to ensure that the lawyer practices in the area of law that deals with your legal matter. Secondly, you’ll want to ascertain what percentage of their overall practice deals with that particular area of law. And thirdly, you’ll want to ask them specific questions on any past cases that they handled that were exactly, or very similar, to your matter. So, for example, adoption is categorized under family law, but many family law practitioners have never handled an adoption case. You’ll want to ensure that they possess the necessary expertise to handle your matter successfully and competently. This is a very important question that is almost never asked by clients to lawyers that they’re interviewing. Think of it this way: if the lawyer in question practices business law, but typically deals with clients who have a net-worth of over $1,000,000.00, then that lawyer may overlook, or be unaware of, many of the issues that are important to individuals with a lower net-worth. So despite specializing in business law, this particular lawyer may not be the most suitable to handle your matter. 4. How many cases have you handled that were closely related to mine? Some people shy away from asking lawyer-candidates about their past cases, maybe because they’re worried about confidentiality issues, or maybe because they don’t want to come across as questioning the lawyer’s expertise. Don’t be one of those people. It’s totally within your right to hold the lawyer to account. If they claim to have experience handling a certain type of case, ask them to give you a summary of the facts, the strategy they employed, and the final outcome of the matter. Ask them how many of those cases they’ve handled, and what percentage of those cases they won, settled, or lost. 5. Besides your degree in law, what other training or knowledge do you possess that may assist in furthering my case? Many of the subspecialties in law require specialized training, which isn’t provided for in a typical law degree. For example, DUI cases, like impaired operation, over 80, care and control and refuse breath sample, are technically categorized under the criminal law. Yet, many criminal practitioners do not have the appropriate training and expertise necessary to defend DUI cases, primarily because of the highly technical nature of the law in this area. Therefore, you should inquire with the lawyer-candidate what type of training they’ve received that qualifies them to be specialists in this particular subspecialty. 6. What are your lawyer fees for this type of matter, and how will you bill them? Will there be anyone else working on my file? If so, who are they, and what are their fees? The first part of this question is aimed at determining what type of legal fee the lawyer-candidate will bill you for your matter. Will it be an hourly rate, a flat fee, a contingency fee arrangement, or some other combination thereof? For the more complicated matters, most lawyers will bill their clients by the hour, whereas for the more straightforward matters, they may offer a flat fee. Make sure to ascertain what type of legal fee you’re going to be billed, and if it’s an hourly fee structure make sure to ask what their hourly tariff is. The second part of this question is aimed at determining who (in addition to the lawyer-candidate) will be working on your file. It’s commonplace for lawyers to delegate certain tasks to paralegals, law clerks, legal assistants, and legal secretaries. Make sure you know what type of task is delegable, and if it’s one that you’re only comfortable with the lawyer doing, then make sure to let them know that and have it reduced in writing in the retainer agreement. You’ll also want to find out how much these other individuals are going to bill you for work on your file. It goes without saying that their rate should be lower than that of the lawyers’, but you should inquire if they have varying rates based upon their position. For example, paralegals typically bill at a higher rate than a legal assistant. Make sure to include in the retainer agreement exactly who will be working on your file, and how much they’ll be charging you. 7. What’s your philosophy on winning cases, and what approach will you take to try and win mine? This is a vitally important question to ask every lawyer-candidate that you interview. You should ensure that their answer matches your own philosophy as to how you want to approach your case. Here’s what we mean by that: say, for example, you’re going through a divorce and you need a family lawyer to represent you in an upcoming divorce proceeding. You’ve also decided that you’d like to pursue the divorce amicably, rather than go to war sort to speak. In that case, you’ll need to ensure that the family lawyer you hire shares the same philosophy as you on this issue. You’ll want to avoid a family lawyer who is known for aggressive tactics that may not fit with your desired approach. Once you’ve ensured that the lawyer-candidate shares your philosophical approach to the matter, you should then inquire as to what their strategy, or approach, will be. Be careful here: make sure that the strategy outlined by the lawyer-candidate is compatible with their stated philosophical approach. This will help weed out the lawyers who tell you one thing and do another. You should ask them specifically what their strategy, or approach, will be, and have them give you specific details on any steps they plan on taking. 8. What other ways are there to solve my legal issue, if any? You shouldn’t feel apprehensive about asking the lawyer-candidate if there are other, better, strategies than the one(s) they intend on pursuing. For example, if you’re involved in a contractual dispute, you may consider asking whether arbitration would be a more cost-effective option than direct-party negotiations, or litigation. A skilled and honest lawyer will often inform you of other less expensive and time consuming means for achieving your legal goals. If they don’t, you should be weary of them. 9. How will you keep me updated on the status of my case? Sound communication between the lawyer and the client is of paramount importance. You should ask every lawyer-candidate that you interview how they plan on keeping you apprised on the status of your matter. You should also ask questions related to the circumstances under which you’ll be contacted. For example, if you’re facing criminal charges, you’ll want to be kept apprised of future court dates, the status of plea negotiations with the Crown Attorney, and any other relevant matter which may require your direct input, or authorization. 10. What’s the most likely outcome of my case? You shouldn’t shy away from asking the lawyer-candidate what the chances are that you’ll win your case. This may be a bit tricky as you’re not necessarily looking for a right answer, but rather, for the most honest answer. For example, if you’re involved in a nasty divorce that’s likely to be costly and lengthy, you’ll definitely want to know that from the get-go so you can prepare for what lies ahead.